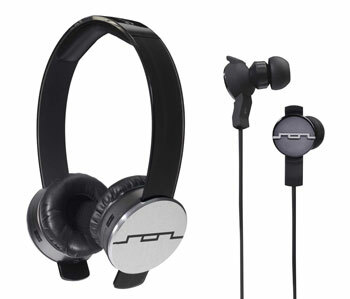 If dropping a couple hundred dollars for a pair of Beats by Dr. Dre over-ear headphones is a little too rich for your blood, there are now affordably-priced, great-sounding alternatives from Sol Republic, a new company founded by Kevin Lee, who helped popularize the Beats by Dr. Dre headphones family at Monster Cable Products. 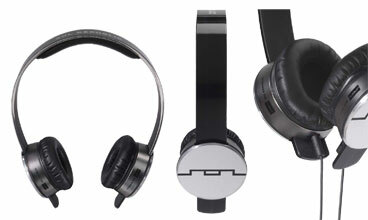 Sol Republic is launching with two lines of products, Tracks over-ear headphones and Amps earphones. Both lines comprise standard and better-sounding HD models. The standard Tracks on-ear headphones are priced at $99.99 while the higher-end Tracks HD are priced at $129.99. The standard Amps in-ear headphones are priced at $59.99 and Amps HD are priced at $99.99. All will be available later this month. What makes the Tracks models unique are a one-piece polymer headband that is virtually indestructible. We bent the headband in half the wrong way and it snapped back into shape no problem. Plus the ear cups aren’t attached to the headband. They slide onto it and are wider than those you’ll find on your average on-ear model, making the headphones more comfortable for a range of head sizes. Finally, the headphone cords detach from the ear cups, making it possible to swap out the cords and headband as new colors become available. All of the headphones include an in-line a remote control and microphone for use with mobile phones. Yeah, Beats have become so ubiquitous I think you pay a lot just for the brand and not really for the sound. I’ve been poking around for alternatives. Haven’t seen the Sol Republics anywhere though - would like to try out a pair before buying. Thanks for the review!